Steinlehof is a typical Black Forest farm house. 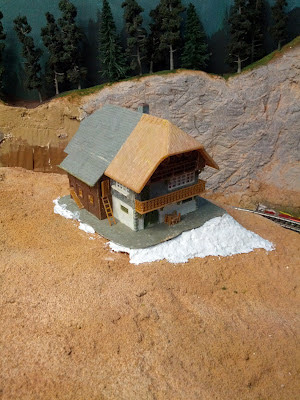 Since the ground has a bit of a slope here, I needed to build up the ground for the house. A nice overview shot of this area is in the posting about building Hochwald. This patch is for rough leveling of the house. 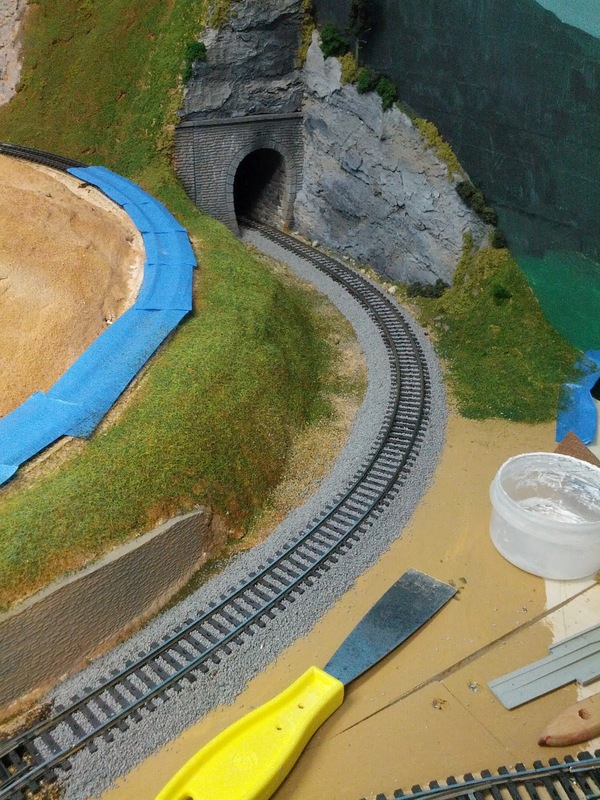 Next up is a bit fine-tuning, patching holes and sharp edges followed by painting and texturing the hill, as well as building part of the access road. I still need a design for a simple wooden bridge across the tracks in the background, and will probably end up scratch-building the bridge from styrene and stripwood. 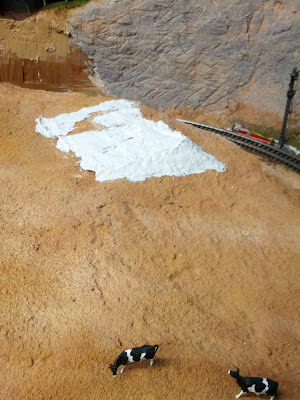 Last weekend I spent some time to ballast more track. This time the approach to Hochwaldtunnel. Right now, the ballast looks too clean and uniform. I will add more trees and bushes later, along with more weeds to get the effect of overgrown vegetation around the tracks that I see on many photos of the Schwarzwaldbahn. Eventually, there will be a small Schrebergarten in the foregound , roughly in the area of where the cup and chisel are located.